In the episode One Little Ship, a Jem''Hadar attack ship confronts the Defiant while the latter is in the middle of an experiment. The Vorta on board is Gelnon. The ship departs after depositing a number of Jem'Hadar on the Defiant. In the next episode, Honor Among Thieves, Gelnon meets with several members of the Orion Syndicate, including Miles O'Brien, on Farius Prime. It has been shown that Dominion intelligence is VERY good. One of the Weyoun clones stated that Sisko's psychographic profile was required reading for Vorta field supervisors, going so far as to claim he knew more about the Captain than Sisko did himself. Every Changeling infiltrator seen was able to convinvingly impersonate high profile figures in the Alpha Quadrant. While it wouldn't be surprising for a Vorta to lack an encyclopedic knowledge of every Starfleet officer and crewmember in existence, it seems odd that a Vorta field supervisor operating in the Alpha Quadrant wouldn't be familiar with at least the senior staff of DS9 (and the Defiant) especially considering a recent encounter with said crew. So why did Gelnon not recognize O'Brien on Farius Prime? Firstly, it's unlikely that an important Vorta like Gelnon would have an encyclopaedic knowledge of what Q lovingly referred to as "the little people" (e.g. the various peons who fly the ship and scrub the engine manifolds while the important people do the decision-making). Although O'Brien is important to us, the audience, the reality is that the Dominion probably just know him as an engineer under Sisko's command. 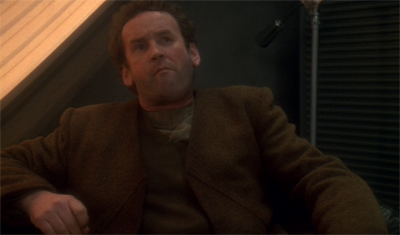 On top of that, O'Brien wasn't on the Defiant during DS9: One Little Ship (or so Gelnon thinks!) and hence he didn't see him face-to-face or on the video screen. Secondly, there's no good indication that this is actually Gelnon. 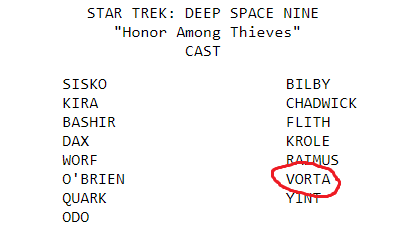 Note that the show script doesn't name him and just describes him as "a Vorta". It's possible that this is a recently decanted Gelnon-clone who's not expected to be working in the same region as DS9 and hence hasn't been briefed on the crew complement of a single ship on the other side of the quadrant. 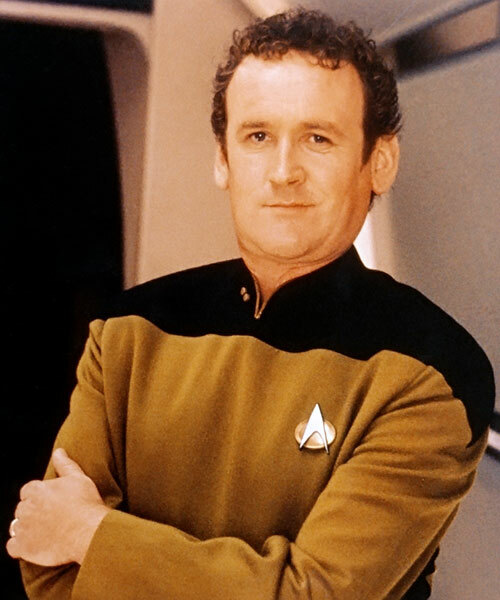 Finally, O'Brien is in disguise. He's wearing casual clothing, he's stubbly and unkempt and his hair is frizzier than normal. This might be enough to fool someone who's only received a description or seen him in his Starfleet uniform, especially given that the Vorta have appalling eyesight. Why does Worf want O'Brien to go to Minsk? How did they know which O'Brien was the original? Why do the the vorta have telekinetic powers in one episode, and at no other time? How did Arandis recognize Jadzia as Dax? What kind of martial art did Miles O'Brien get this move from? Did Chief O'Brien go to Starfleet Academy? Why was Chief O'Brien so underused on the Enterprise?